Apply Now! Teach SL in the 2020-2021 AY! The Service Learning Program invites applicants for its ninth round of Faculty Course Development Grants. The Grants are for faculty interested in creating and teaching a Service Learning course in the 2020-2021 academic year. The $2,000 grants will be awarded to faculty on a competitive basis and are intended to underwrite the cost of preparing a new “SL” designated course, participating in professional development workshops, undergoing an assessment of the course, and volunteering at least 10 hours alongside the students in the class. The selected faculty receive $500 at the end of the Fall 2019 Semester and the remaining $1,500 after they have completed the final assessment of their course. Because the Service Learning Program wants to ensure the highest quality of student experience, courses that receive an “SL” designation will only be taught by the faculty who receive a Course Development Grant. The Service Learning Program intends to solicit applications each spring for faculty who want to teach “SL” designated courses. The Provost’s Academic Strategic Plan (ASP) charges the faculty to engage students in active learning outside the classroom” in order to “expand student horizons, connecting their work and life experiences with education,” and it specifically calls for increased Service Learning courses (p. 24). Such courses will prepare our students to engage critically the moral problems they will face as citizens and professionals after college (p. 24). 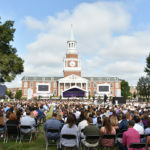 Similarly, the past Quality Enhancement Plan (QEP) demands the institutionalization and development of Service Learning courses as part of the experiential education High Point students need “to lead lives of significance within our complex and increasingly interdependent global communities” (QEP p. 1519, ASP p. 24). More specifically, the QEP directs the Service Learning Program to provide “stipends to faculty who develop courses with a civic engagement component” (p. 18). Both the QEP and ASP challenge the faculty to offer enough Service Learning courses so that all of our students are able to participate. In order to ensure a high quality experience for all students, we must intentionally develop the competency of at least 20% of our faculty to teach Service Learning courses so that the quality, quantity, and diversity of courses are offered to guarantee that all students can enroll in the kind of Service Learning course that matters most to their course of study. 1. Have a conversation with either Dr. Blosser or Dr. Kozma about your course idea. You must have first talked with them before you can apply. They are also happy to read and edit your application before you submit it. Actively participate in four professional development workshops offered on Friday afternoons (Friday, Oct. 4, Oct. 11, Oct. 25, and Nov. 1) from 2:00-4:30 PM. If you teach during this time, we ask that you schedule an online class or other class activities so you can attend the workshop. Create a syllabus to be submitted to the Service Learning Committee by November 15, 2019. The workshops will help you develop your syllabus. Teach the course in the 2020-2021 academic year. As you think about applying for a Course Development Grant, please see the resources and sample syllabi available at http://www.highpoint.edu/servicelearning. If you have further questions or comments, please contact Rev. Dr. Joe Blosser, Robert G. Culp, Jr. Director of Service Learning, at jblosser@highpoint.edu or 336-870-9471. Please talk with Dr. Joe Blosser or Dr. Cara Kozma about your course idea first. Then come and complete the application. Applications will be reviewed on a rolling basis. You will know within two weeks of submitting the application if you will receive a grant. We only have 10 grants available, so we urge you to apply soon. Applications must be submitted by September 13, 2019. There are endless numbers of resources for Service Learning, but at HPU we are developing Service Learning a bit differently through a focus on moral questions, like issues of justice, freedom, equality, human rights, the common good, etc. Not all Service Learning resources share such an emphasis on ethics, so you will need to use the following resources carefully and critically as you develop your proposal. 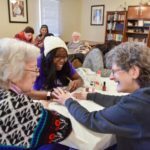 HPU Completes Various Service Projects in Honor of Dr. Martin Luther King Jr.